We organise hiking, camping, climbing, hosteling, biking, canoeing, sailing and skiing events – as well as one-off international trips and more hard-core ‘challenge’ events. It doesn’t matter whether you are a total beginner or a well-hardened outdoor enthusiast – we have something for everyone, every week, all over the UK. And what-ever the event, you will find a group of friendly, welcoming guys with a shared love of the outdoors. 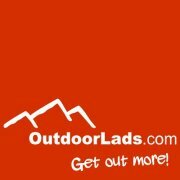 A UK wide outdoor pursuits group. Scottish region is controlled from Scotland.